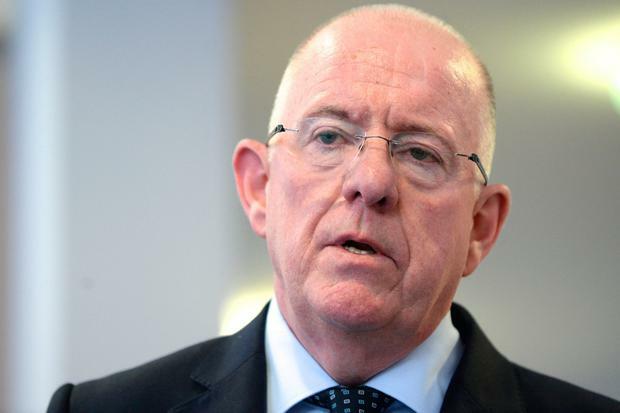 Justice Minister Charlie Flanagan has no immediate plans to change the law regarding trespass on farmland. His decision is in the wake of concerns raised by the Irish Farmers' Association (IFA) that if farmers identify people trespassing on their land it is not considered a criminal offence. Mr Flanagan said the general legal position in respect of trespass is that it is a civil wrong and, for the most part, can be addressed by means of a civil remedy through the courts. He said he acknowledged the interest of various farm and rural organisations, particularly the IFA, on this issue. However, he said there were already significant legislative provisions and penalties in place relating to trespass. Fianna Fail's spokesperson on justice, Jim O'Callaghan, said the minister's comments did not take into account the reality of what was happening on farmland. "Farmers find that when people trespass on their land, they have no remedy in the criminal law," he said. "When they contact members of An Garda Síochána, they are told officers can only intervene if there is a threat to commit a criminal offence or if criminal damage has been done." Mr O'Callaghan said that while there may be a civil remedy available, it requires farmers to institute proceedings against unknown individuals. It follows a series of high-profile incidents in which farmers were attacked or intimidated when confronting intruders on their land. Farmer John Smith told senior gardaí at a recent meeting on rural crime that if they don't take efficient measures to combat rural crime then someone will take the law into their own hands, referencing the Padraig Nally-John 'Frog' Ward case in 2004. "If you don't take some sort of action, you're going to have what happened in the west of Ireland," he said. "Somebody is going to lose the head and then you will have to deal with the guy that took action. "If you don't nip this thing in the bud, that's what's going to happen." Mr Flanagan said the Criminal Justice (Public Order) Act, contains provisions specifically relating to the unauthorised entry onto and occupation of land, including farmland. He said the law provides for offences relating to illegal trespass and occupation of land which result in a range of specified adverse consequences. The legislation empowers An Garda Síochána to direct trespassers to leave the land concerned and, if necessary, remove any object belonging to them from the occupied land. He also highlighted the Prohibition of Forcible Entry and Occupation Act 1971, which he said also contains provisions relating to trespass.